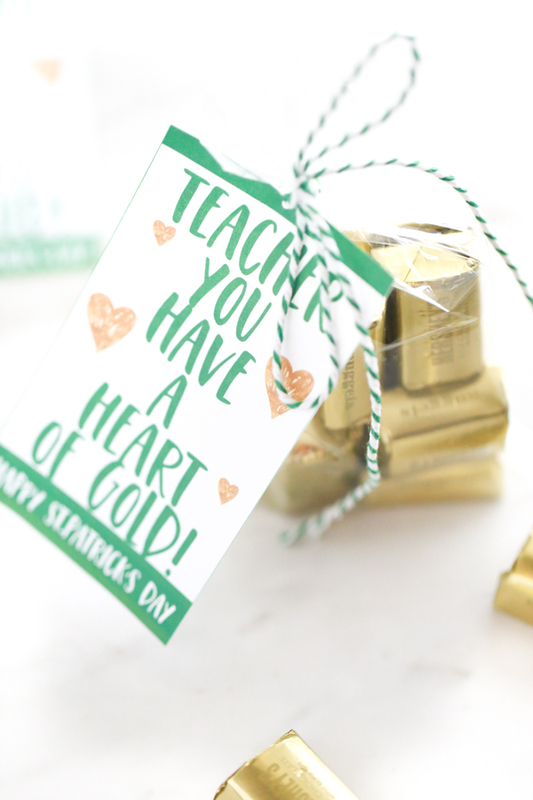 Teachers are special and they deserve special treats year round. 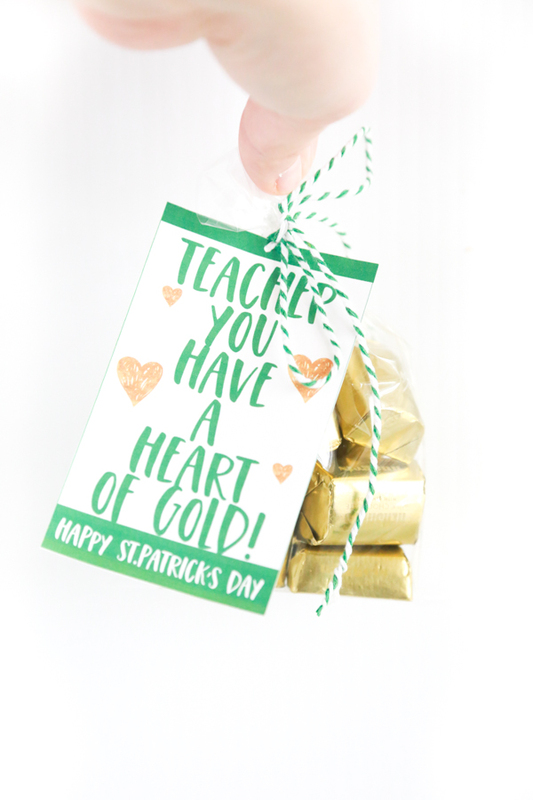 Although St. Patrick’s Day isn’t normally a gift-giving holiday, surprise your child’s teacher this year with this – Teacher You Have a Heart of Gold – St. Patrick’s Day gift idea. It takes a super special person to commit their lives to teaching someone else’s child. I think it’s important for us as parents to support our child’s teacher. I also think it’s important that we nurture a relationship with them as well. 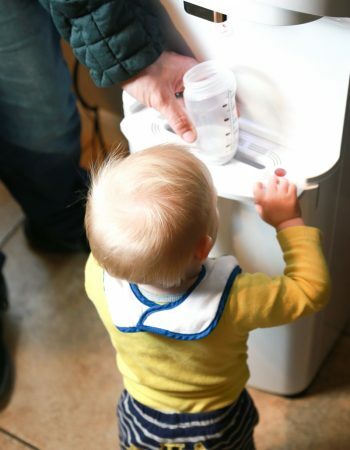 At the end of the day the common goal for both parties is to prepare children for real life. For parents, it comes naturally. For teachers, it’s an incredible characteristic of their personalities that make them want the best for the children they teach. My point is teachers truly do have a heart of gold. Most are patient, kind, and have some sort of superpower that I don’t possess. Although my children are now homeschooled, it had nothing to do with the teachers they had. But I understand now, more than ever, just how difficult teaching can be. And I’m teaching my OWN CHILDREN, y’all. 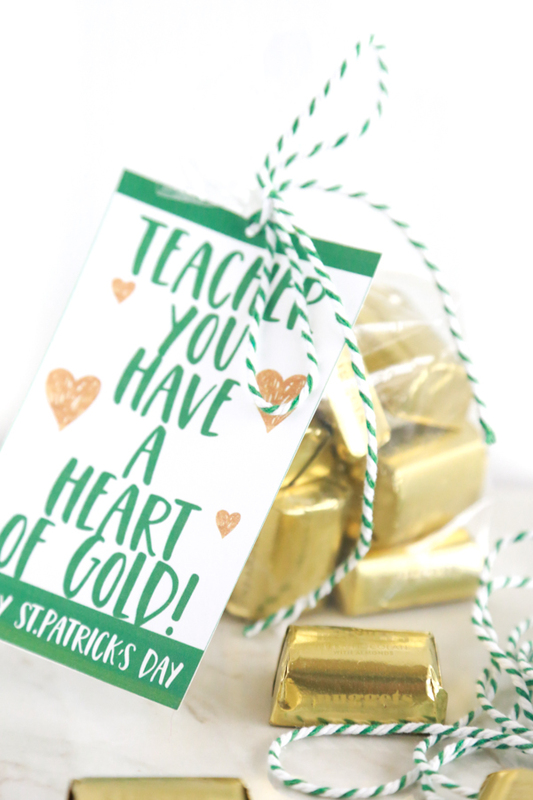 Since St. Patrick’s Day isn’t normally a gift-giving holiday, hopefully your child’s teacher will be surprised with their – Teacher You Have a Heart of Gold – gift. 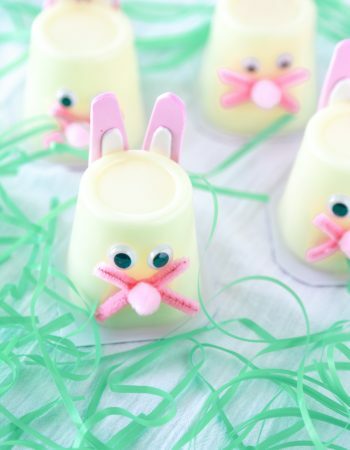 You can make the gift part whatever you want or you can use this chocolate gift suggestion. 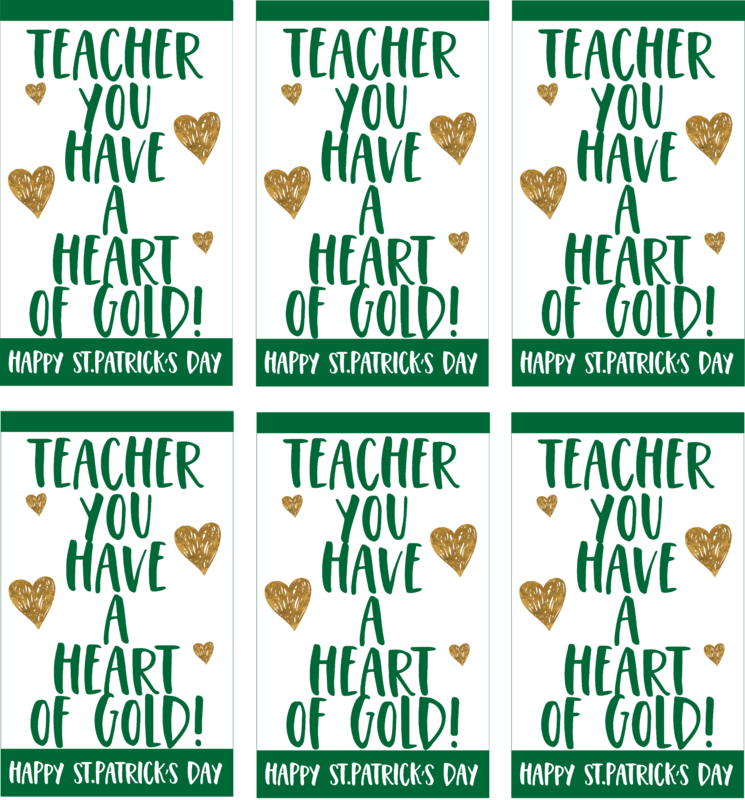 That’s the beauty of these Teacher You Have a Heart of Gold printables – they’re so versatile. Feel free to use them as you wish (as long as it’s for personal use)! 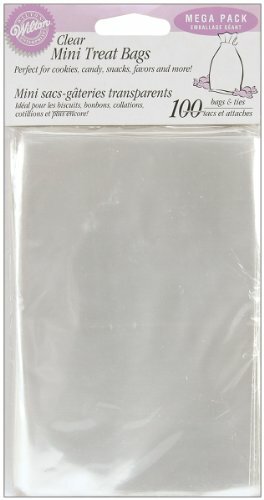 I know that you’re busy and you don’t always have time to sit down at the computer and create pretty gift tags. So I did that for you. All you need to do is print this digital file and you will be able to cut and print the tags as you desire. Each page contains 6 separate but identical tags. I did this in case your child has multiple teachers that you’d like to make gifts for. You can print on any kind of paper you want and then cut out with a pair of scissors. Using a small hole punch, punch a hole into the top of the gift tag and attach to your gift using colored ribbon or twine. It’s really that easy, y’all. 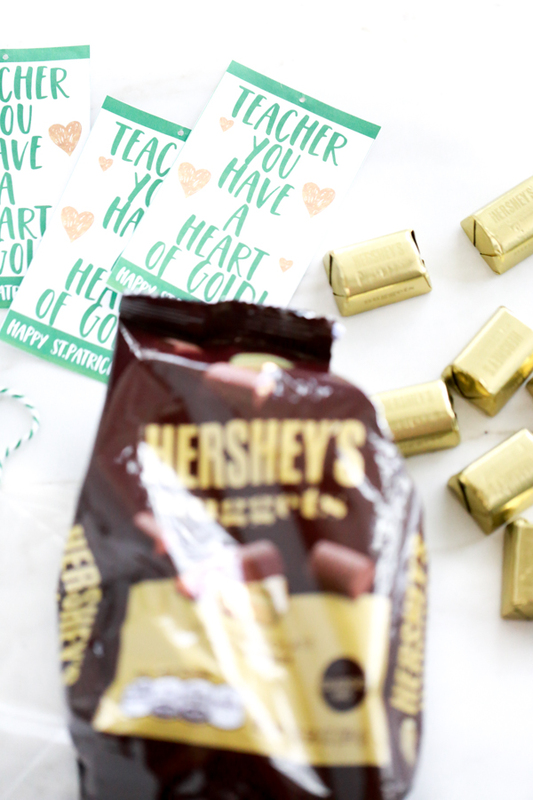 To make this chocolately gift you’ll need a bag of Hershey’s Milk Chocolate Nuggets with Almonds, a sheet of gift tags, colored ribbon or twine, and little cellophane bags. 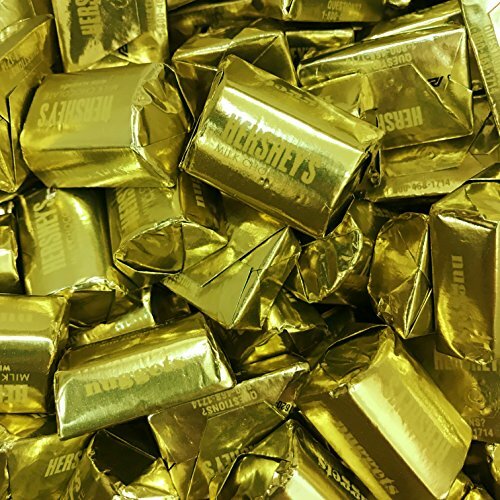 Hershey NuggetsGet it now! Bakers TwineGet it now! Party BagsGet it now! Put about 10 Hershey Nuggets into one of the party bags. 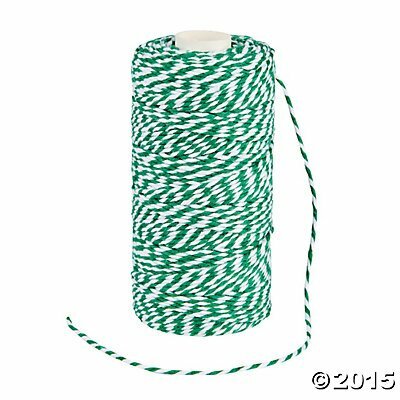 Punch a hole into the gift tag with a small hole punch and thread the twine through the hole. Tie around the top of the filled bag and voila – your gift is ready. 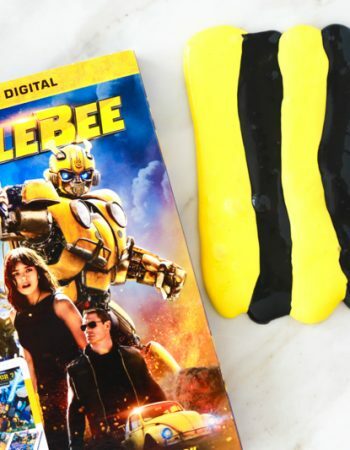 It’s really such an easy, yet thoughtful, gift idea! 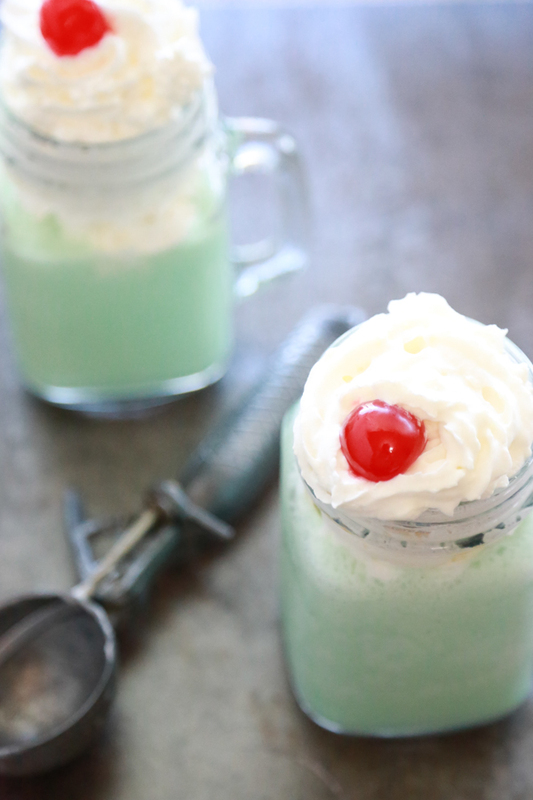 Don’t forget to pin this to your St. Patrick’s Day boards on Pinterest so that you will be able to easily find it again. 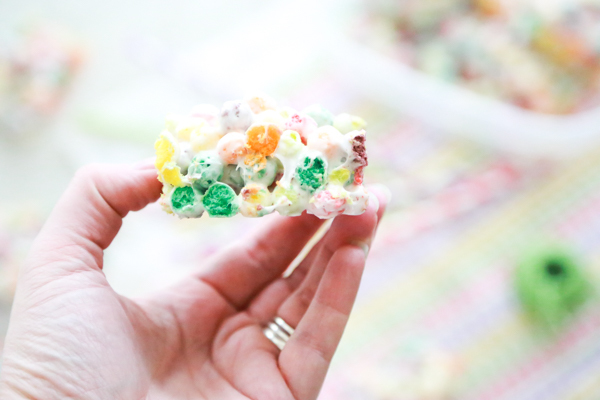 If you’re not following me already, I’d love to have you join me on Pinterest – I pin lots of yummy and helpful stuff. Love this, our girls planned to make the cookies you suggested the other day and this would be perfect for the teachers. That is so cute! Our teachers do so much for our kids. I think it’s important that we take every opportunity to show them how much we care. 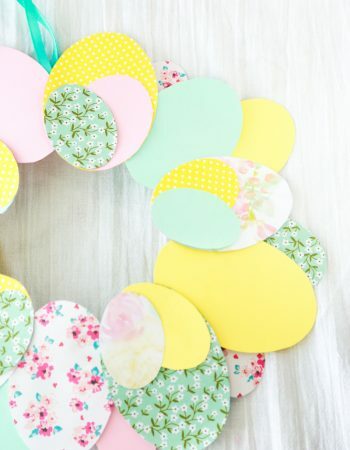 These gift tags are super cute and perfect for March!!! It’ll be great for my kids’ teachers. What a super cute way to show a teacher that they’re appreciated. 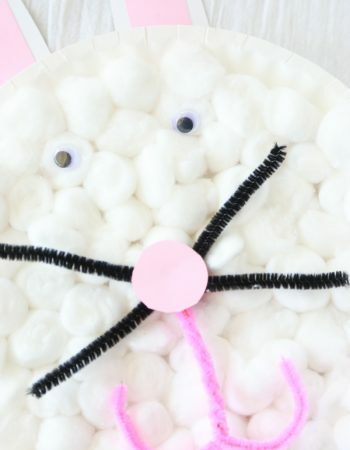 I love the idea of making this, maybe my youngest will make it for his teacher with me one night next week. These are a really cute idea to thank a teacher. Everybody needs a little appreciation/chocolate now and then. Is there anyway you can make another printout that says “Nurse” instead of teacher? 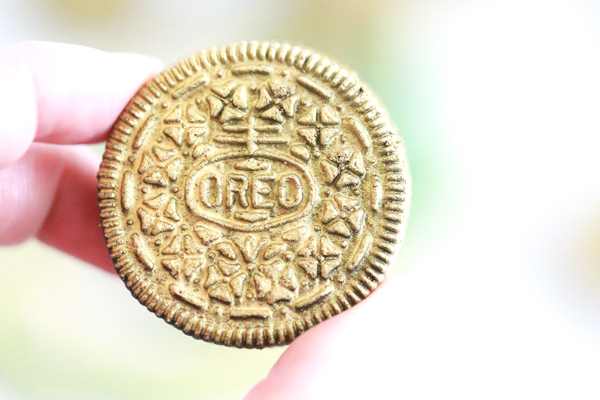 I would love to give these and some gold painted Oreos to all my fellow NICU nurses!